Abstract: Fibromatosis is a rare type of tumor derived from the mesenchymal tissue. This is a benign tumor with infiltrating growth but may invade locally and recur following excision. As one type of fibromatosis, mesenteric fibromatosis (MF) accounts for a mere 8% of cases. Although studies have revealed that the etiology of MF is related to trauma, surgery, hormones, and heredity, the specific etiology of fibromatosis remains unclear. With such low incidence, MF has been rarely reported and tends to be misdiagnosed due to insufficient recognition. 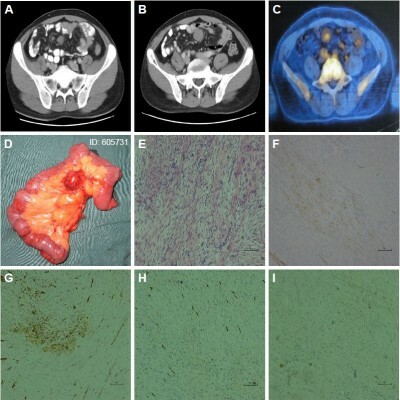 In this paper, we describe the cases of two patients with MF who were misdiagnosed with lymph node metastasis and who had previously undergone successful laparoscopic right hemicolectomy. We provide this information in order to broaden the clinical understanding of MF.